Riding along the Mississippi River on a paddlewheeler or other riverboat with the calliope playing can transport you instantly to the 19th century. Ghosts of riverboat gamblers and ladies dressed in finery are easily imagined on board one of the beautifully recreated river queens of the past. There are several riverboats from which to choose. There are short day cruises or longer dinner cruises at night. One of the best times to schedule a riverboat ride is New Year's Eve. You can enjoy a dinner on board the riverboat go out on deck to get the best view of the firework display that happens every year over the Mississippi River at ​ Jackson Square. The Creole Queen is a paddlewheeler that measures 190' x 40' with the capacity of 1000 passengers. It docks at Riverwalk Canal Street dock near the Hilton Hotel. There is no age limit for passengers and the Creole Queen is handicap accessible. The Creole Queen offers a Chalmette Battlefield cruise. This 2.5-hour cruise takes you to the site of the 1815 Battle of New Orleans, where you disembark and explore the park. The Jazz Dinner Cruise is from 7-9. There's a Creole buffet and a live Jazz band in the richly appointed dining room. You can opt out of the dinner and just take the cruise for a reduced price. 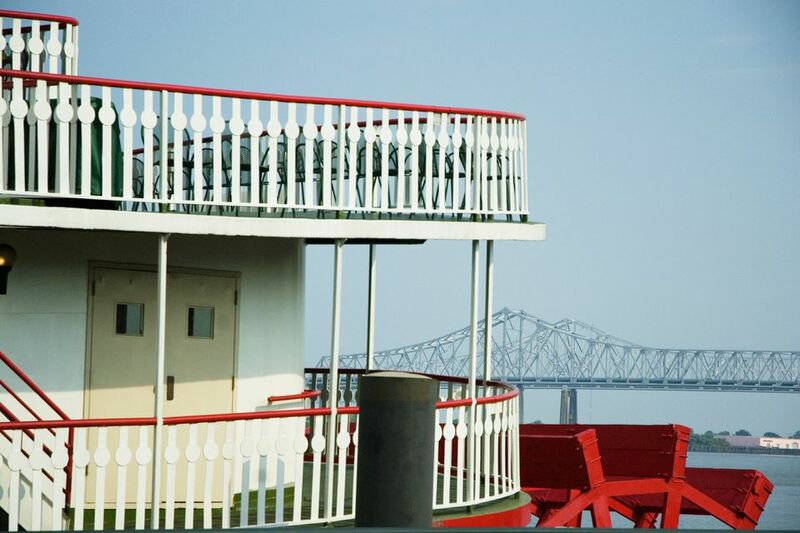 The Natchez is an authentic steamboat that offers harbor cruises on the Mississippi River. The Natchez docks at the Toulouse Street Wharf behind Jax Brewery. You can visit the steam room to see the museum quality steam engine. There is live Jazz on every cruise and the optional food served on the boat is Creole. There are two harbor cruises every day at 11 am and 2 pm. Duration of the cruise is 2 hours. Costs vary depending on if you choose to include lunch. In the evenings, the Jazz Dinner Cruise is also 2 hours but you can board 1 hour early to take advantage of the bars and music. You can also opt out of dinner for a reduced price. If you really want to see the Mississippi River, take a cruise leaving from the port of New Orleans. Cruise ships dock on the river from the Riverwalk through the Convention Center and sail down the Mississippi River into the Gulf of Mexico and to ports beyond.